The trend of latest attributes in bikes are increasing tremendously well in the Indian auto market. Presently, the premium segment bikes are available with single disc brakes. After getting huge demand of dual disc brakes for the 150cc bikes from the auto market, the leading two-wheeler manufacturers are looking forward to introduce the next generation dual disc brakes bikes in India. It is speculated, Honda CB Dazzler, Hero Honda Hunk and Yamaha R15 might be launched with the dual disc brakes soon in India. However, the officially announced has not yet received by any major auto market leader. Currently, the all three premium bikes are getting wonderful response from the Indian buyers. Honda CB Dazzler is a upgraded version of already existing Honda Unicorn. It is powered by 4 Stroke, Air Cooled OHC, Single Cylinder which is generating top power output of 14 Bhp at 8000 rpm and produces peak torque of 13 Nm at 5500 rpm with its 149.1cc displacement. On the other hand, Hero Honda Hunk, which is the much popular premium motorcycle brand of Hero Honda motors India. 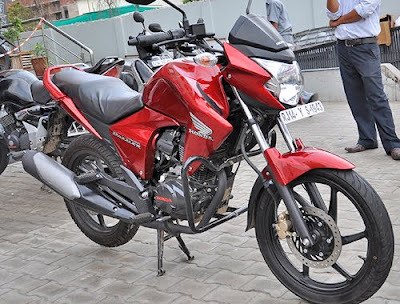 The Hero Honda Hunk is loaded features with a 149.2cc, 4 stroke, air cooled, single cylinder, OHC configuration. The powertrain of Hero Honda Hunk is offering maximum output of 14.4 PS power at 8,500 rpm and churns out a peak torque of 12.80 Nm at 6,500 rpm. 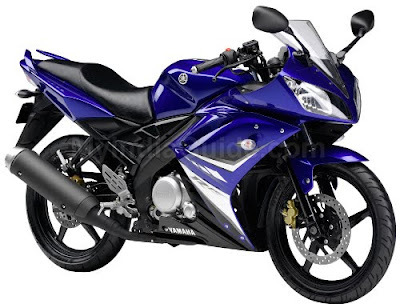 Behind of them, Yamaha R15 might also be available in dual disc brakes. It is presently offering extremely well performance across the country. It comes loaded with 149.8cc, Liquid cooled, 4stroke, SOHC that produces top power output of 17BHP at 8500 RPM while delivers maximum torque of 15 Nm at 7500 rpm. 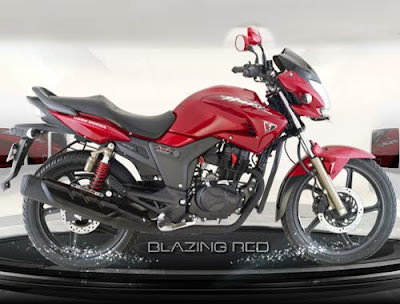 Hero Honda Karizm ZMR, Kawasaki Ninja 250R, Bajaj Pulsar 220 are currently available with dual disc brakes. Apart from that launch, India bike lovers will see the new bikes in India that includes Bmw K1300s, Honda Interceptor, Honda Cbr, Vibgyor Shark, Kawasaki Ninja 650R and more.